Fay has pressed her brown and mode tablecloths and gotten pink flowers for the yard. She loves finding pink carnations for the tables and getting everything ready for hosting her sisters at the annual event that officially kicks off the year for the Atlanta Southern Crescent Alumnae Chapter. I don’t know quite how she finds the time. She’s been busy helping a neighbor, driving her to the doctor. 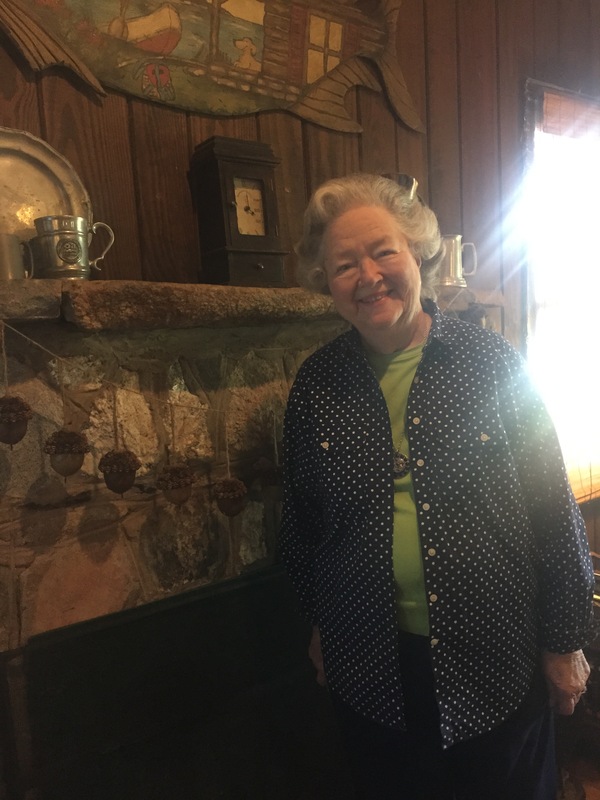 Fay also spends time volunteering at Clothes Less Traveled in Peachtree City, with the food pantry One Roof, with Newnan Presbyterian Church and with the Newnan Coweta Historical Society. Fay is also a member of Alpha Delta Kappa, an international honorary organization of women educators. But she has cut back a bit; she used to also volunteer with the Cancer Society and as a Pink Lady at Newnan Hospital. Fay still enjoys making the 240 mile drive to her hometown in Florida, where she can still always find a group of her high school friends to get together for a lunch date! Fay has been a Gamma Phi Beta since her initiation in 1951. She attended her first Gamma Phi Convention a year later in 1952. She’s been to 4 more since and is looking forward to Convention this summer right here in Atlanta. Be sure to ask her about the time she took the train to Convention. Actually, there’s a lot of ask her about. You should really be sure to sit a spell with Miss Fay at the party. Ask her about her 30+ years in the classroom teaching home ec and how her students still use what she taught. And how she knows it. Ask her about the students she still wonders about. Fay will probably offer you a lemonade and a brownie. And she’ll definitely offer you a warm smile and a charming story that will leave you with a smile of your own. For all her hard work and all her smiles and charm, we thank Fay for everything she does for Gamma Phi Beta. Our year wouldn’t get off to such a great start without her!